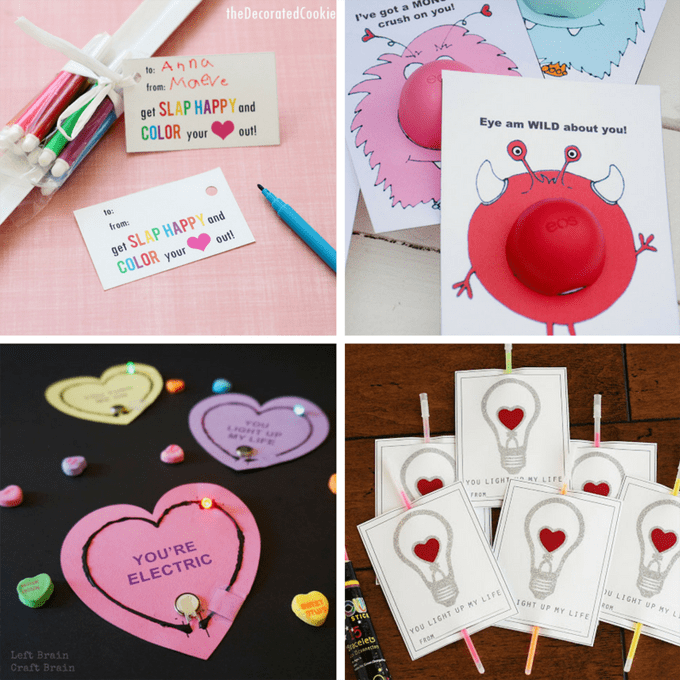 DIY Valentine's Day classroom cards for kids' school parties. 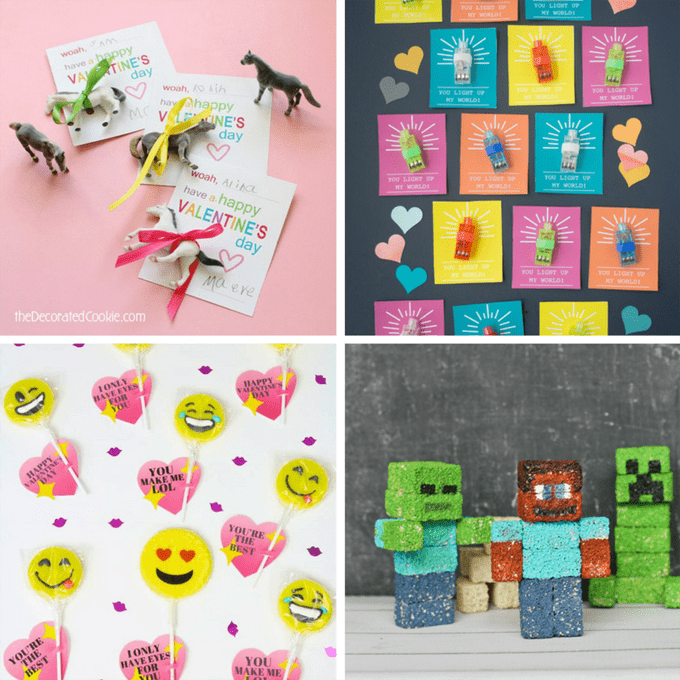 A roundup of Valentine’s Day school card ideas for kids’ classroom parties. 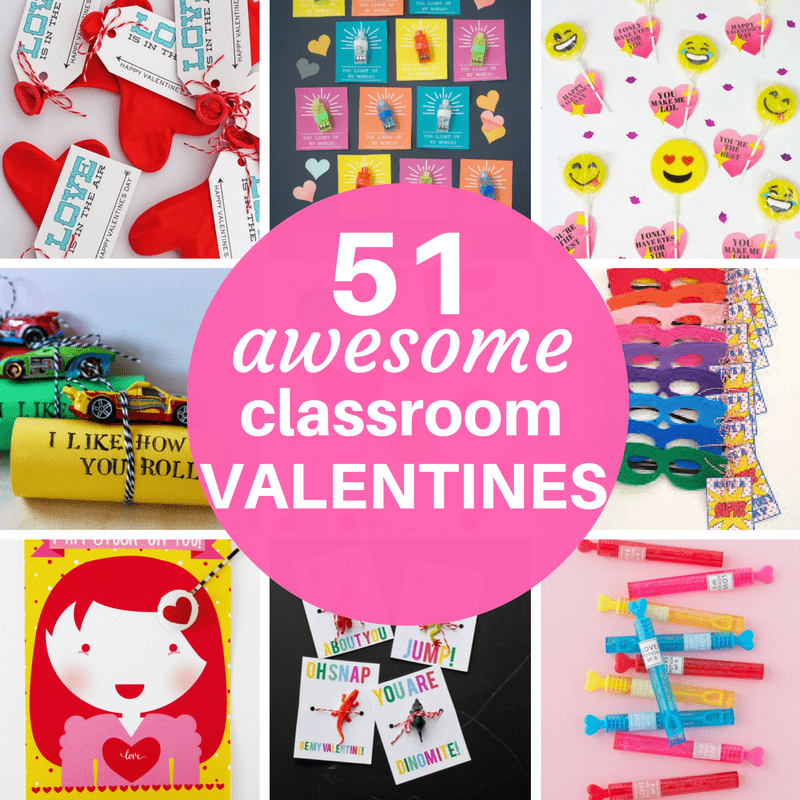 It’s almost that time of year where children are forced to appreciate EVERY one in their class with Valentine’s. I remember as a kid being very particular about not accidentally giving lovey dovey cards to the wrong boys. Yikes. That would have been embarrassing. 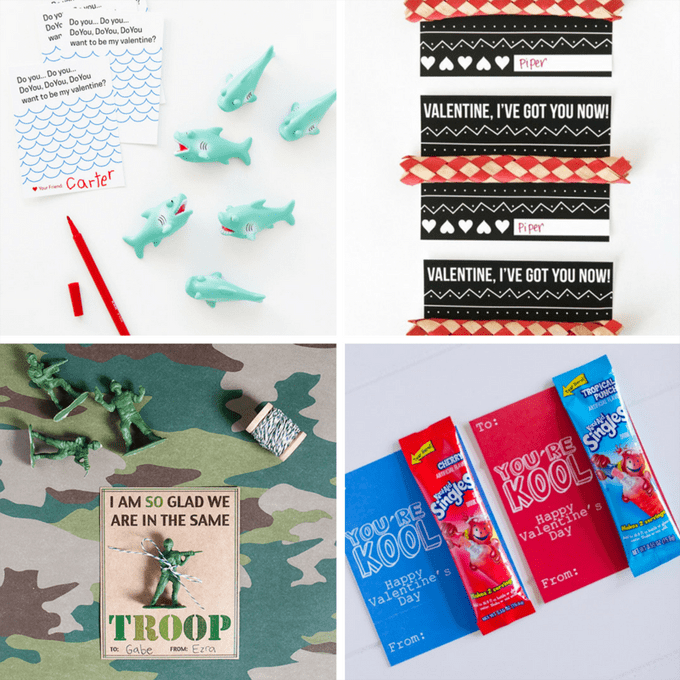 Back then, we picked up the econo-packs of little cards from the drug store and kids decorated lunch bags to collect their cards at the school Valentine’s Day party. Now, in the age of Pinterest, things have gotten a bit more intense. 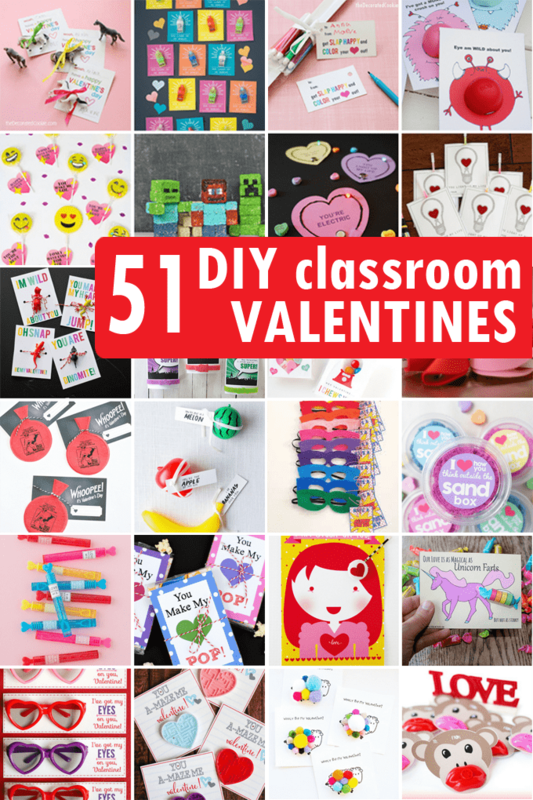 If you’re looking to compete, here are 52 DIY Valentine’s Day classroom cards ideas for kids. As for the ideas below, some have candy, but most are without candy. (My daughter’s school has a strict no-candy policy, so…) I’ve also included a few affiliate links if you need supplies. The links below are mostly from amazon, but I also hit up Oriental Trading for lots of inexpensive goodies. 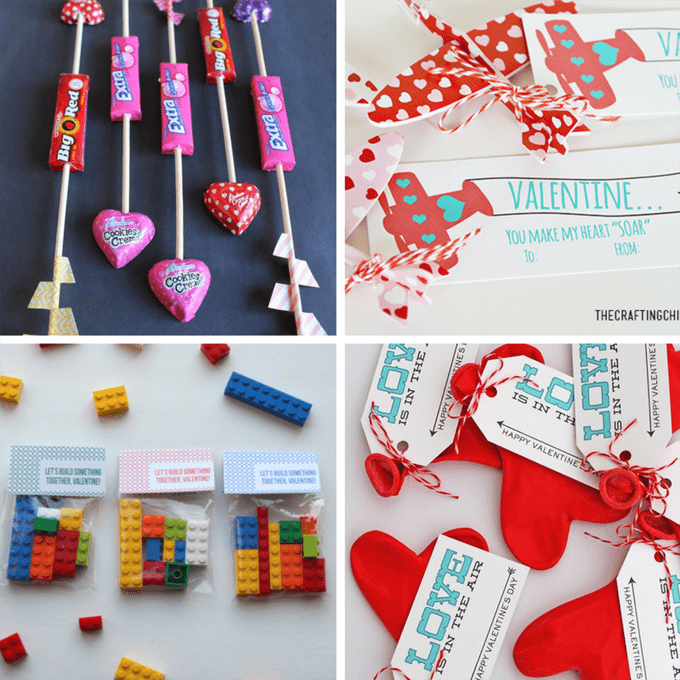 I have a lot of ideas over at pinterest: ALL THESE AND MORE CLASSROOM VALENTINES ideas. 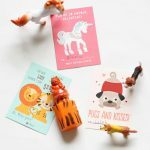 If you don’t want to DIY, here is a roundup of 30 card and toy combos you can purchase. And here are a few more cards and toys. 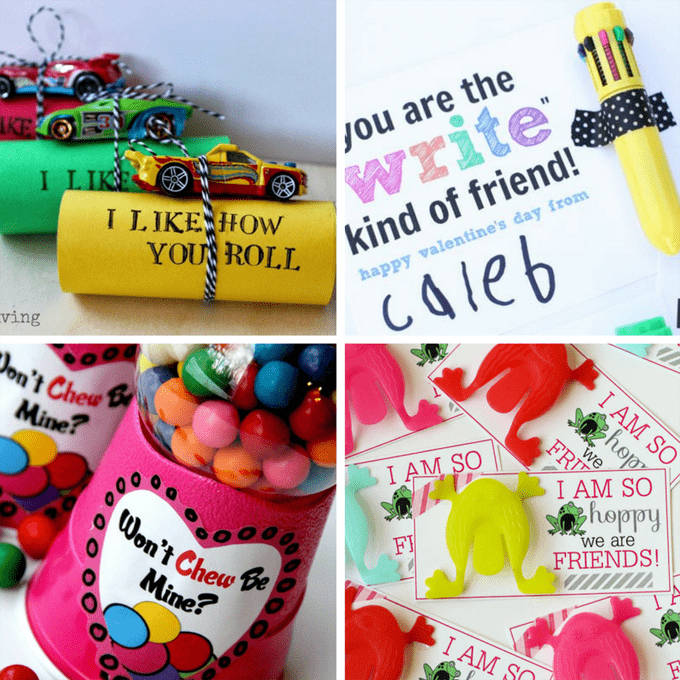 Find free candy printables at Petite Party Studio. 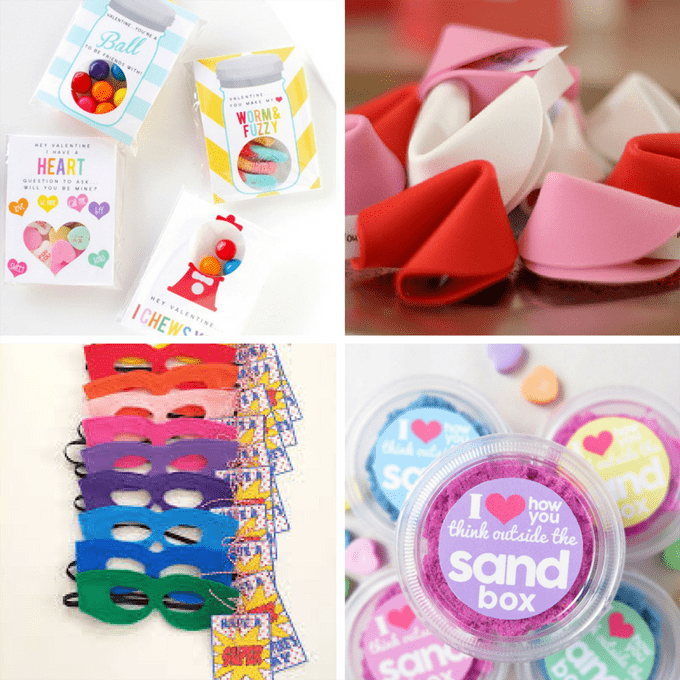 Make fortune cookie Valentines at Bunches and Bits. Make kinetic sand Valentines at Smart School House. Make Superhero mask cards at The Diary of Dave’s Wife. 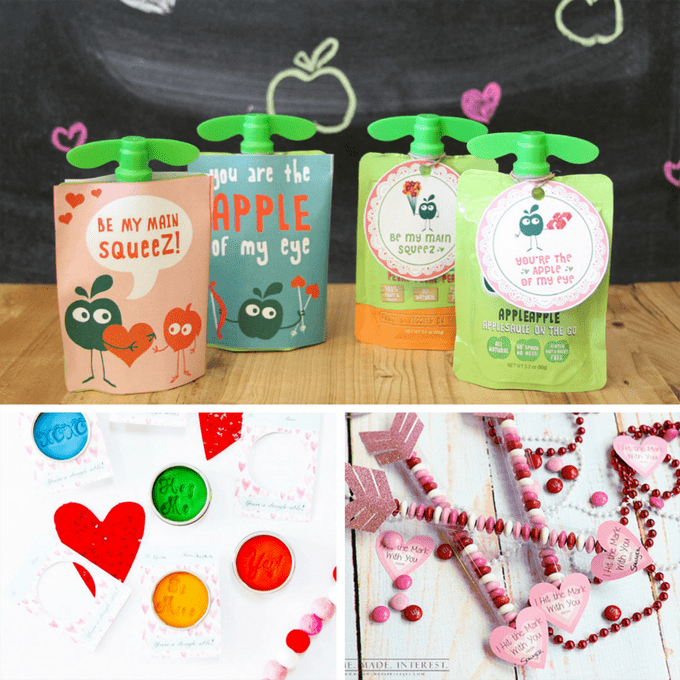 Make popcorn Valentines at Crazy Little Projects. 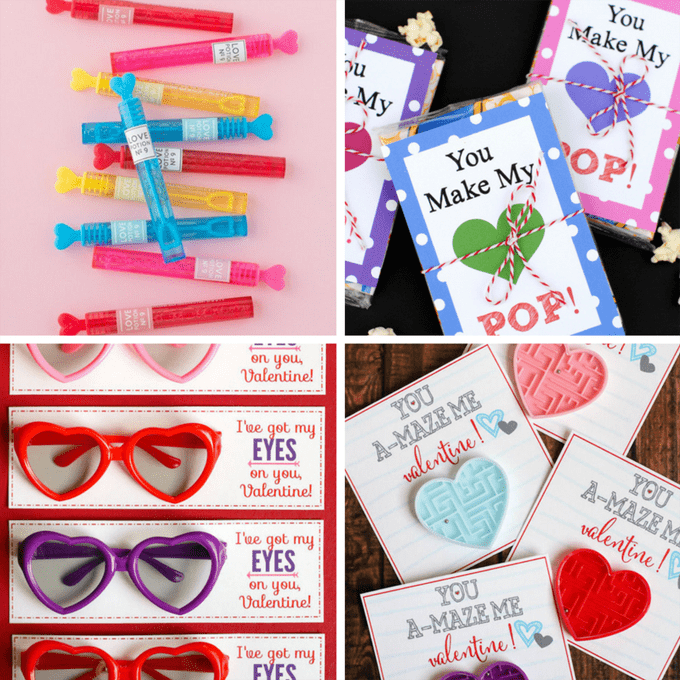 Make eye glass Valentines at Lil’ Luna. 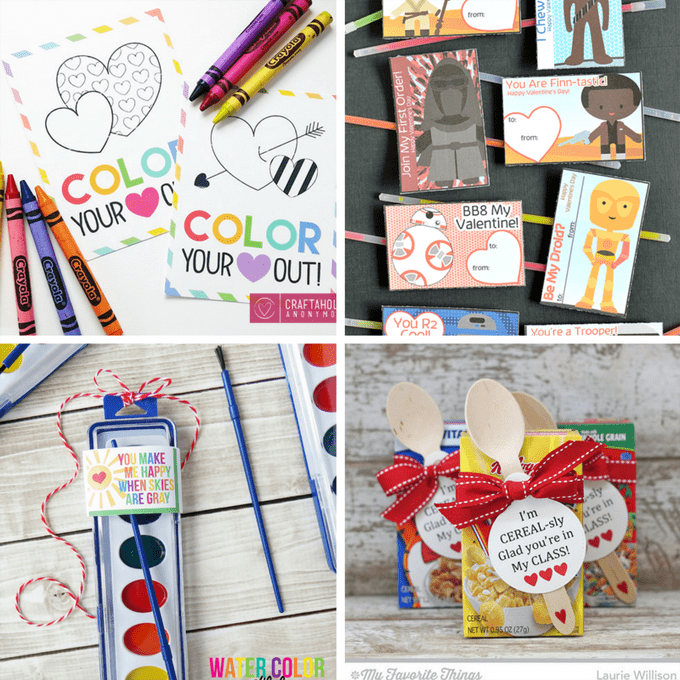 Make Star Wars Valentines at The Idea Room. 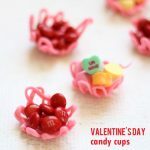 Make hair clip Valentines at Skip to my Lou. 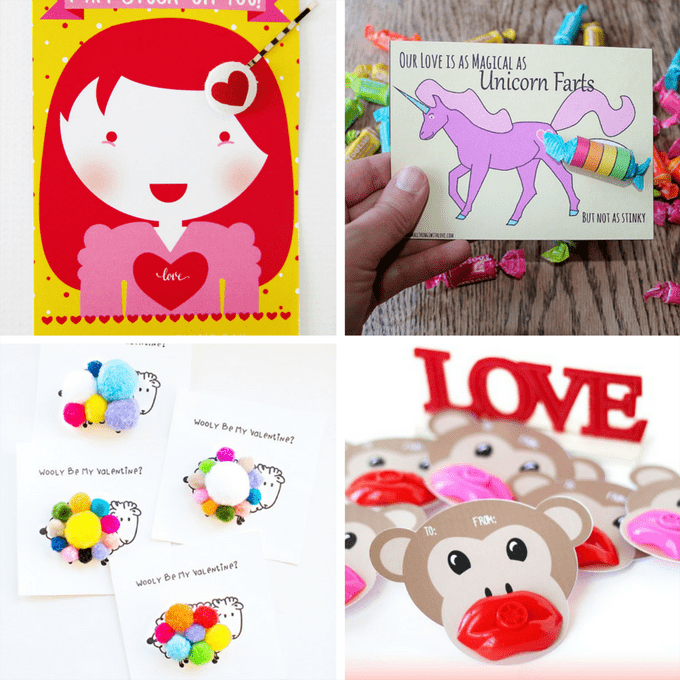 Do you dare make unicorn fart cards? From Do Small Things with Love. 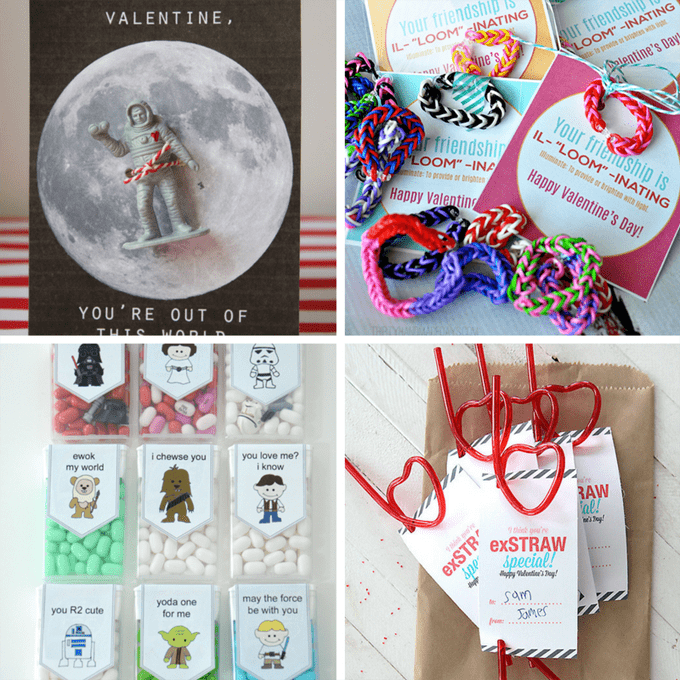 Print Star Wars Valentines at The Suburban Mom. Make Kool-Aid Valentines at My Name is Snickerdoodle. 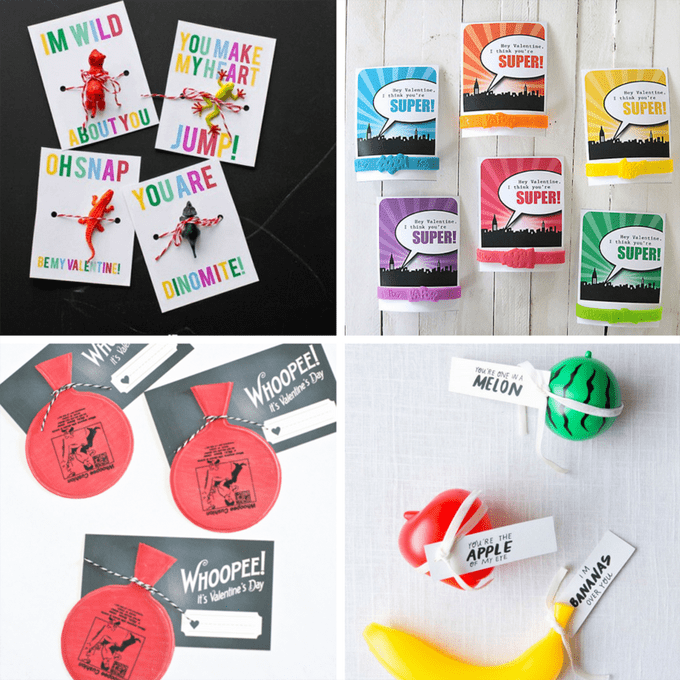 Give rock candy cards at Squirrelly Minds. Give money! At Delia Creates. 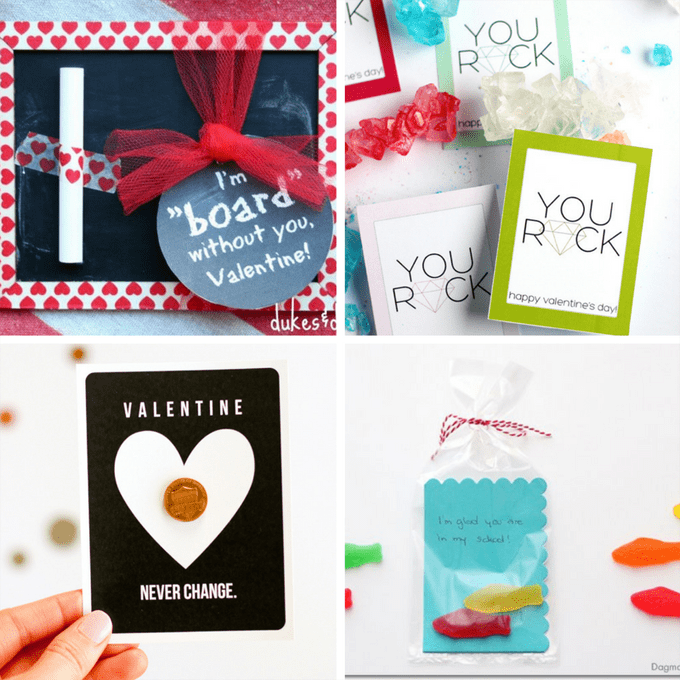 Make Swedish fish cards at Dagmar’s Home.